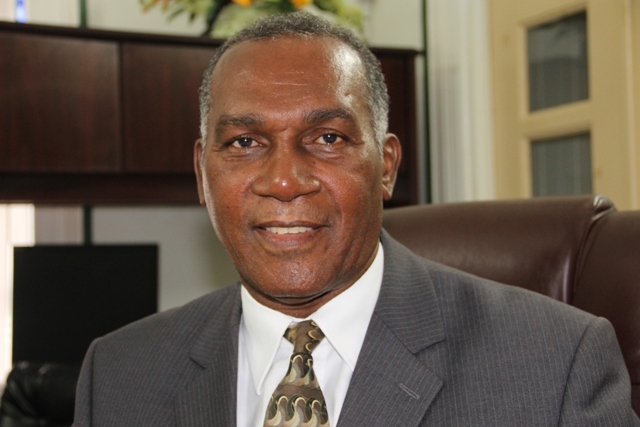 NIA CHARLESTOWN NEVIS (March 25, 2015) – The following is a report from Premier of Nevis and Federal Minister Hon. Vance Amory. It was delivered on March 25, 2015 at his Bath Plain Office. I want again to thank all of you, the good people of St. Kitts and Nevis, for the support which you have given to the representatives of the Team Unity, to elect us to government so that we can provide good transparent government for the people of St. Kitts and Nevis. Especially I want to thank the people of constituency #10 in Nevis for their continued support of myself, so that I can continue to give them the type of representation and to provide the type of services which they want through the Nevis Island Government. I think it’s a wonderful opportunity to have been asked again to serve the people and to do so, in a way which will bring benefit to all of you and that is my pledge and commitment to the people of this country. You are aware, that there has been a new government elected. A new Federal Government and in that government, I have been given the opportunity to serve as senior minister. To serve as Minister with responsibility for Social Security and Labour and for that very ubiquitous Ministry Ecclesiastical Affairs. Let me say, that all of these Ministries – Ministry of Nevis Affairs, responsibility for Social Security and Labour, are also areas which I have had responsibility for in the Nevis Administration since 2013. So what this has done, it has given me a broader scope but still, areas in which I have been operating in the last two years. The Ministry of Ecclesiastical Affairs, is a Ministry which is also part of my portfolio here in Nevis and it has been a portfolio which has been part of every government because it is important, that governments and the church work together in harmony for the better management of our society. It is my intention to use these Ministries, to ensure that the people whom these ministries affect, that they get the best service. They get the most professional or efficient dealing with their matters because it is important that we see people as being first in anything that we do in government. As Minister responsible for Labour, I have travelled to Nassau to be part of an International Labour Organisation (ILO) conference and it is imperative to advice, that there are areas of concern in St. Kitts and Nevis which relate to labour matters; our human resource matters and it is necessary for us, as a country, to fulfil our obligations under the ILO arrangement so that we do not fall foul of any international standards, to which we have contracted and signed agreements. One of the areas in which I intend to act very quickly, is to undertake a meeting with the representatives of the trade unions and with the Chamber of Industry and Commerce because as far as the ILO and the international community is concerned, any matter to do with labour and labour relations has to have a tripartite component and that is government, unions as the representatives of employees and the representatives of the employers, to ensure that all matters are dealt with in an objective way, in the best interest of all of the parties involved. In respect of the matter of Ecclesiastical Affairs, it is my intension to meet with representatives of the Christian Councils and also of Evangelical Associations both in St. Kitts and in Nevis. I believe that it is important, as I said earlier, that we maintain this dialogue and that we see the church as part of the governing of our societies because we cannot divide our people in their spiritual context from their secular context because they are all one body and it is important, therefore, to enlist their support and to work cooperatively and collaboratively with the church and the different church organisations, in ensuring that our communities are well managed. One of the areas of concern, is what do we do with our young people? What do we do with the people who are engaging in anti-social behaviour? How can we enlist the church and the church organisations in helping to resolve those dilemmas which confront us so often and about which we lament so often. I believe, as Minister, it is incumbent upon myself to engage the church and the church leaders in this dialogue, so that we can formulate policies and action programmes to alleviate this programme. The other matter on which I need to give a report, is the Electoral Office here in Nevis specifically and as Premier, there is resided some responsibility for the Electoral Office although it is a Federal matter and now as Minister of Nevis Affairs, I think it is incumbent and perhaps now will be easier to deal with any issues in the Electoral Office. All of us would be aware, over the last eight or so years we have had untold difficulties with the Electoral Office here on Nevis and also the Electoral System in both St. Kitts and Nevis. It is the intention of the new Government to address these matters very seriously. I think we cannot continue as we have gone over the past 10 years, where the Electoral Office seems to have been an instrument of undermining our democratic system. It is important that we examine and evaluate what has happened in the electoral offices both in St. Kitts and Nevis and to so provide our people with a clear indication, of what the Electoral System should be. One of the first steps is that the Federal Government has contracted two very experienced persons from overseas to look at the operations of the electoral system [to] see what has gone wrong, see where there have been irregularities and find or recommend ways in addressing those irregularities, so that we have a system which is transparent, which serves the people and one in which the officers who work in those offices, see themselves as being servants of the people and not trying to dictate what transpires and to act in accordance with the law which governs elections; the law which governs the registration of electors for the voters lists, so that, we can be assured that whenever we have an election, that what is happening in the offices, is beyond criticism and that on the day of election, we can have fair elections and elections which are free from fear. In respect of the Nevis Electoral Office, let me say that it was closed and the reason for its closure was so that, we did not have anyone going into that office to contaminate what was there. I want to advise that having discussed with the Prime Minister and the other members of Cabinet of the Federal Government, that the Electoral Office in Nevis will be reopened on the 1st of April, that is next Wednesday. At that time, we shall have a new management person who will run that office. We shall seek to hire people who are people of integrity and people who will perform their duties efficiently and professionally and that anyone who goes into that office from thence on, that they can know that provided their credentials are in order, that they will be registered to vote and that there will be no undue pressure placed on them and that we will not be having the level of complaints that we’ve had over the past. In addition to that, we have to look at the Registration Officers. The Registration Officers who are responsible for ascertaining that those who have registered at the Electoral Offices that their registration is in order; that they have registered in accordance with the law which governs the registration and the elections in St. Kitts and Nevis and that all that is done, is done, in a manner which facilitates the process rather than creating problems for people and to eliminate the whole contentious atmosphere which we have experienced over the last almost 10 years and to eliminate also, the matter of court hearings because this is a small country, a small community and I think everyone in a community knows who lives in that community and therefore, we should be able to have a system established which meets with all of the criteria of the provisions of the law, so that we do not have the kind of contention which we have had over the past three or four elections. I want also to talk about promotion of St. Kitts and Nevis. Last week I visited the United Arab Emirates (UAE) specifically Dubai, where there was a conference which was seeking to promote the Citizenship By Investment programme globally, not just for St. Kitts and Nevis but St. Kitts and Nevis was invited to make a presentation to the delegates, who were there from all over the world, people from Europe who have interest in China, in Asia, in the United States of America because from those areas come the interest in the Citizen By Investment programme. This programming being the oldest programme from 1984 until now, clearly is a leader in the international Citizenship By Investment programmes and we need to keep that so, so we can have the benefits for the people of St. Kitts and Nevis and also for the clients who want to use their citizenship to acquire a passport of St. Kitts and Nevis to travel, to do business and to have as hustle free travel as possible. The other aspect we were able to put forward at that time, was that we want to broaden the dimension to get away from just investments in real estate whether it is in a condominium or in a villa or in hotels and things like that, to transpose this to investment in government infrastructure because we believe, that if someone has an affinity, say for health or for education and would like to invest in those areas, that should not preclude them, from becoming an economic citizen simply because they are not investing in a hotel or a villa or a condominium. So we are going to look at broadening the scope, so that we can attract more people, people with diverse interest and also provide a direct benefit to government of that investment infrastructure, whether it is in health, education or in roads or in electricity or whatever the area is. I think that new dimension which was presented has created some stir, some interest and it is our intension, to pursue this because I think it is important that the Citizenship By Investment grows, that it continues because of the benefits it can bring for the people of St. Kitts and Nevis and for the Government as a source of revenue. Finally I want to speak about a specific matter in the Constituency #10. Yesterday, I met with the representatives of the Caribbean Development Bank who have come to look at the educational development in the Technical Vocational Education Training (TVET) and our discussion centred around the upgrade of certain facilities, both at the Charlestown Secondary and the Gingerland Secondary Schools, to improve the capability of those institutions and the government’s capability through education, to provide technical education for the people of Nevis. I think we shall see that programme taking effect in the new year. We are now finalising, through the CDB the project, and I think that is going to be a very vital aspect of our government’s provision of opportunity for training, so that our people will be ready to take up the opportunities for employment which will arise from the varying investments which shall come to this country in short order. Some of which are already being put on the ground. Last of all, to look at the Hanley’s Road rehabilitation. I think that is going ahead at pace and already you see the difference. It will mean a little bit of inconvenience for the people because of the work being done but the good thing is, having over the years before, prepared ourselves for this, there are those side roads which people can use, to move from their home in Hanley’s Road to the main road, to transact their business. I think it’s important that we look and see that there was that long-term preparation for this event. The event is clearly some nine or so years later than we had anticipated but now it’s on the road, I think people are going to be happy when it is done and I want to ask the people of Hanley’s Road and the people of Nevis generally, who will use that road or would have used that road, to excuse the incontinence but it will be, in the end, something which will be very useful for them and they will be very happy that it has been done. I think next week Tuesday, we intend to have a town hall meeting to talk with the people so that they can have whatever queries, whatever concerns they have answered. One might say we should have done this before we started the work but this has been in the making for such a long time, that I think the people will not mind suffering a little inconvenience, so that they can have a long-term benefit. I just want to again thank the people for reposing their confidence in us and in another week or so, I will speak again on some other matters. More particularly, I can say that on Tuesday of next week, the Permanent Secretary of Finance and myself will be discussing with the Financial Secretary in St. Kitts our revenue matters and revenue arrangements for revenue sharing and I think this is an very important aspect of our new approach to government and when we shall have completed that, I will be happy to speak to you again. Thank you and may God bless us and may we have the kind of prosperity for which we long in Nevis.